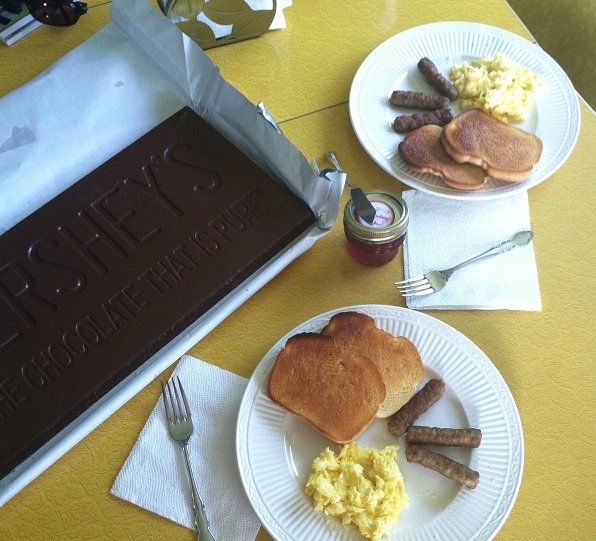 Oh, you know… we had the usual: eggs, sausage, toast with homemade strawberry jam and a five pound chocolate bar. We’ve been putting off opening this humongous thing, until just the right time. And Sunday morning breakfast it was. 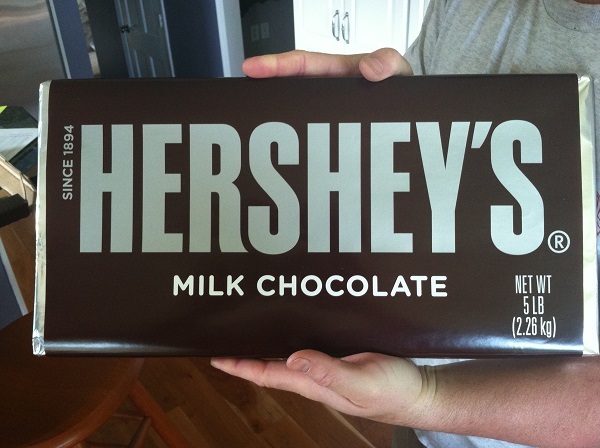 In case you were wondering, a five pound Hershey bar is 60 servings. 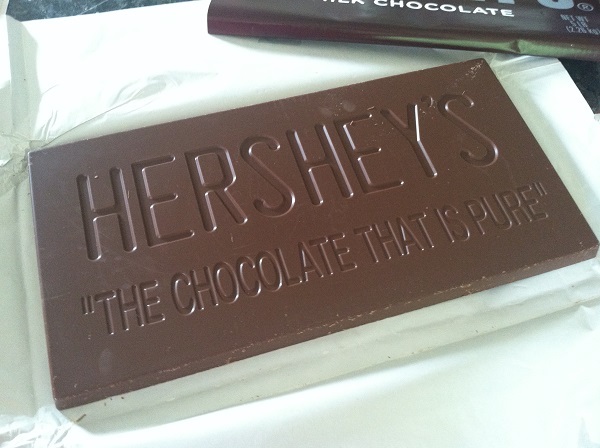 And apparently we need to eat it by this December. 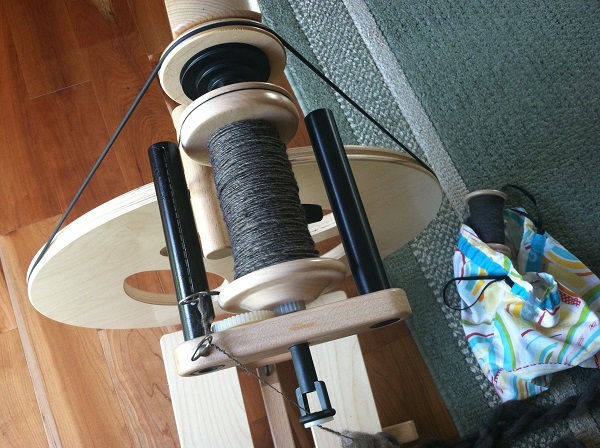 Just a little more to do for this bobbin and then it will get plied together with the one on the floor. 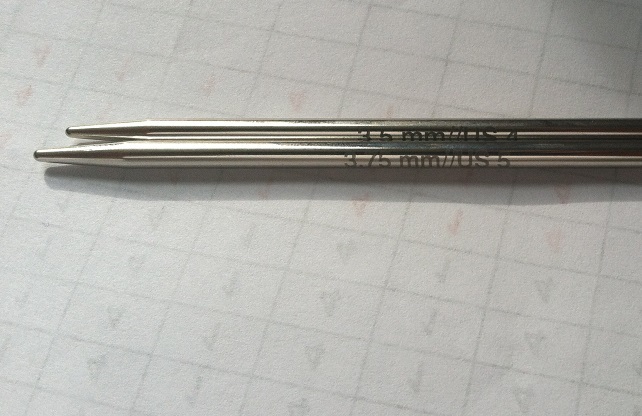 That there is a picture of two needle tips from my interchangeable needle set. They are different sizes. Which I used to knit my Multnomah. I have no idea how this happened. When I checked my needle set, I have another complete set of two size 5 tips, but cannot locate another size 4 tip. Unless it is in some other project somewhere in my yarn room with another size 5 tip. Luckily with only 1/4 of a millimeter difference, every other row, you can’t notice anything in my finished shawl. What a knucklehead. 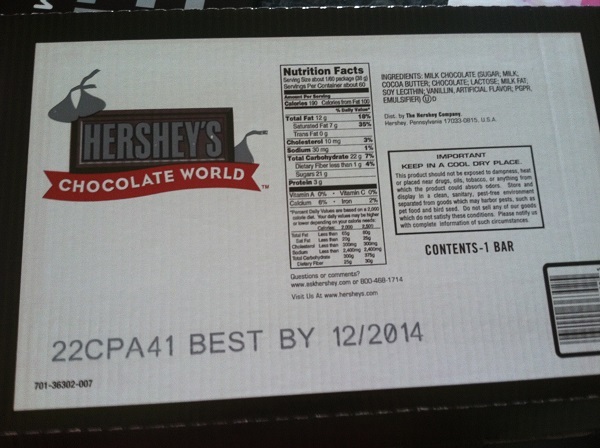 Posted in Uncategorized and tagged five pound hershey bar, multnomah, spinning on June 29, 2014 by lizytish.